Often I will go to the grocery store and buy a bunch of props to use, and then feel guilty if I don't paint them for as long as they stay fresh, even if I get sick of them before then. Lately I have tried to ignore that guilt and be a bit more spontaneous with what I paint. I saw these flowers on a walk, picked them, and painted them right away. No thinking about it. 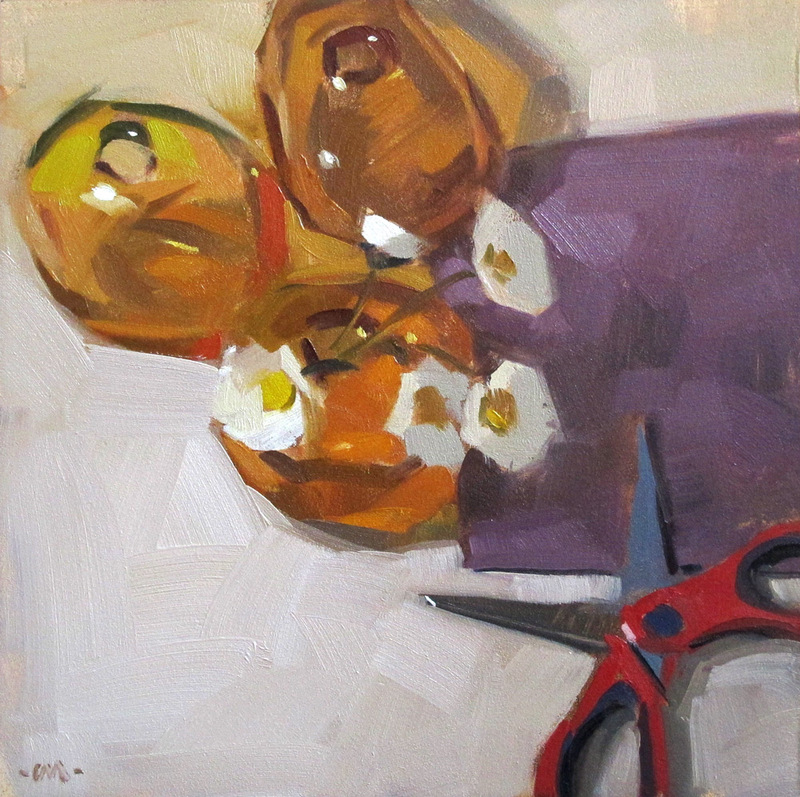 No glancing at the apples still in a bowl in my studio. Can I borrow some apples, Carol? :) Great painting. ! love this! nice change in images. the colors are really fun and thr vases really pop with the flowers. SWEET, SIMPLE and unexpected colors!